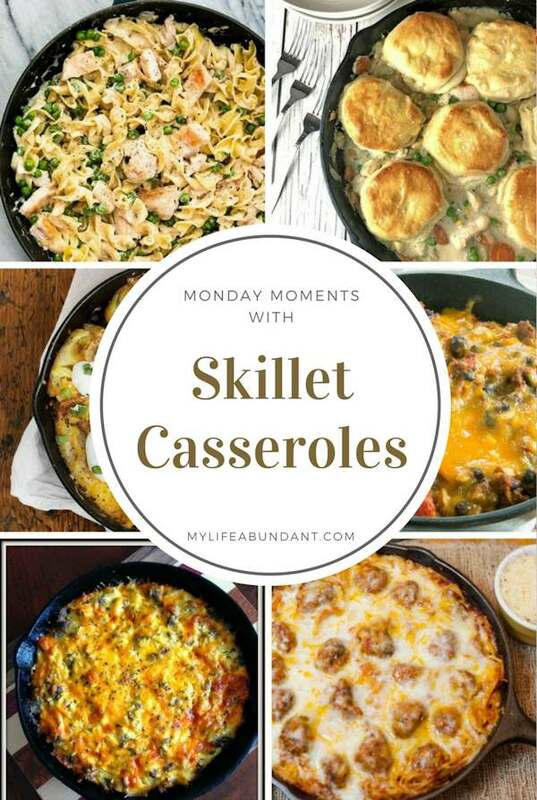 If you love using a cast iron skillet as much as I do, you will love making casseroles in them. I love being able to use one skillet to saute and then bake with so many simple ingredients. Easy clean up for sure. Here are a few skillet casserole dishes I will be making the future. What I loved about this recipe from Real Housemoms is its 30 minute and on the table recipe. Skillet Chicken Noodle Casserole is a recipe the whole family will love. Speaking of chicken, how about adding some biscuits and having Chicken Skillet Biscuit Pot Pie! This recipe by Platter Talk had me at biscuit. I fell in love. Right at that moment. Technically, this recipe called Loaded Smashed Potatoes isn’t a casserole recipe. But, it just looks so darn good and anything with potatoes in it is a hit in my home. I can’t wait to try this recipe by Seasons & Suppers and serve to Mr. G.
When its time to have a little Mexican kick in your next meal, how about Beef Taco Skille Casserole by Gal on a Mission. Another really easy recipe with not many ingredients. I know many think skillets are only for frying bacon and/or sausage in them, so for you guys, here is a Sausage & Hashbrown Breakfast Casserole recipe. Makin’ It Mo Betta’ has the perfect recipe for this one. I’m thinking Easter morning to make this for our guests. Saved the best for last. Baked Spaghetti & Meatballs made in the skillet. Only one pan for this recipe by Joy in Every Season. Another family favorite.